Mick Jagger was said to have a philandering eye – an argument strengthened by the fact the international heartthrob had eight children from five different women. We can’t help but wonder – where are these women now? 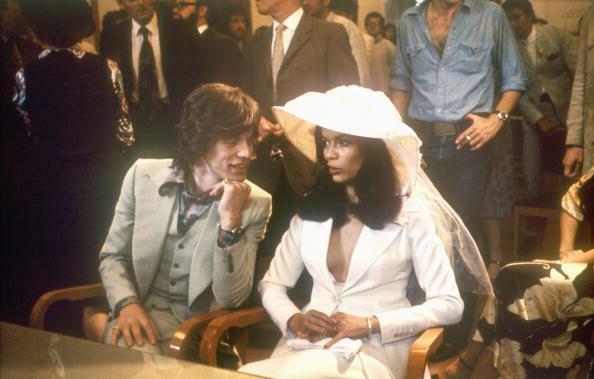 Nicaragua native Bianca Macias met Jagger at a Rolling Stones concert afterparty, during which Marsha Hunt was pregnant with his baby. Nine months later, Bianca and Jagger said “I do,” and only a few months later she gave birth to their first and Jagger’s second daughter, Jade. Sadly for Bianca, the woman never found true love after her marriage to the music icon ended. She stepped away from the altar and didn’t remarry – instead, she filled up her time doing plenty of community and charity work, as well as raising the family she started with Jagger. Now a great-grandmother, Bianca moved on with her life, but kept the Rolling Stones frontman’s last name. 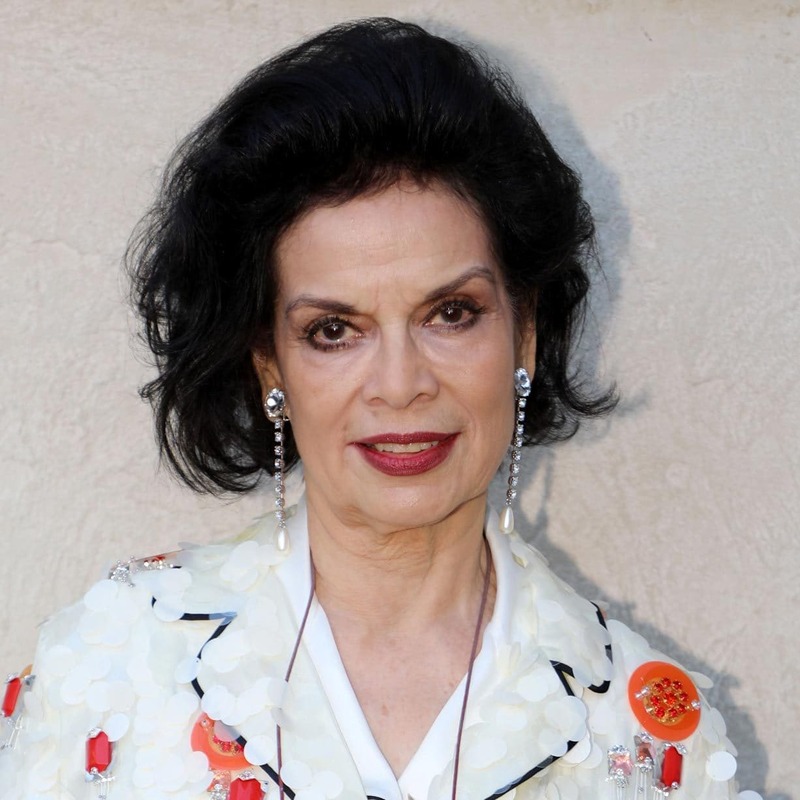 To this very day, Bianca is passionate about her work with the community, and she even founded the Bianca Jagger Human Rights Foundation. 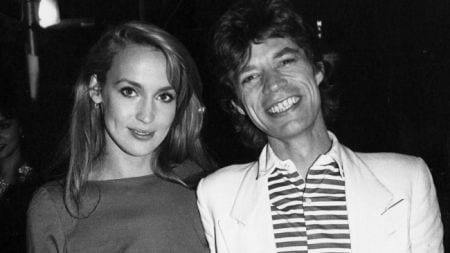 Jerry Hall was willing to put up with plenty when it came to her long-time lover, Mick Jagger. However, when Brazilian model Luciana Gimenez announced she was pregnant with the musician’s child and had DNA test results to prove it, it seemed as though this would be the straw that would break the camel’s back for the two. 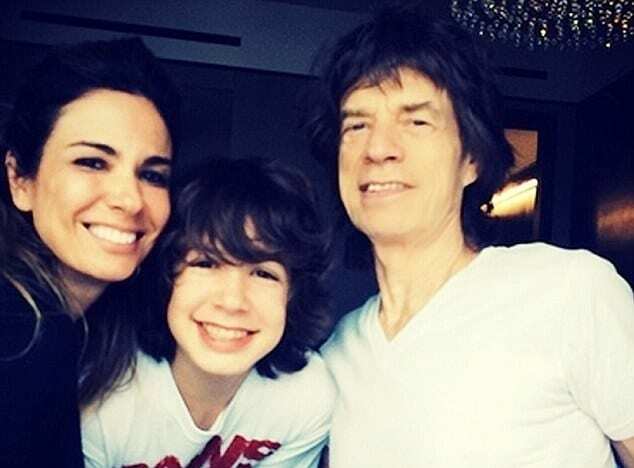 Gimenez gave birth to Jagger’s son, Lucas Maurice, and only two months later, Hall and Jagger announced they were separating – only this time, it was for good. These days, Gimenez is married to the owner of a Brazilian television network called RedeTV! – Marcelo de Carvalho. The two tied the knot in 2006, and Gimenez has since become a host of two shows on her husband’s network. Gimenez and Carvalho did not have an easy start since the model was blamed for ending Carvalho’s previous marriage, which resulted in Carvalho leaving his former wife along with three children. Carvalho and Gimenez have one child together – Lorenzo Gabriel Morad-Fragali, born in 2011. Jagger was rumored to be having an affair with his Performance co-star, German model Anita Pallenberg. This piece of steamy gossip spread like wildfire while Jagger was dating Marianne, and Pallenberg was dating Keith Richards. Pallenberg was also romantically linked to yet another Rolling Stones bandmate – Brian Jones. 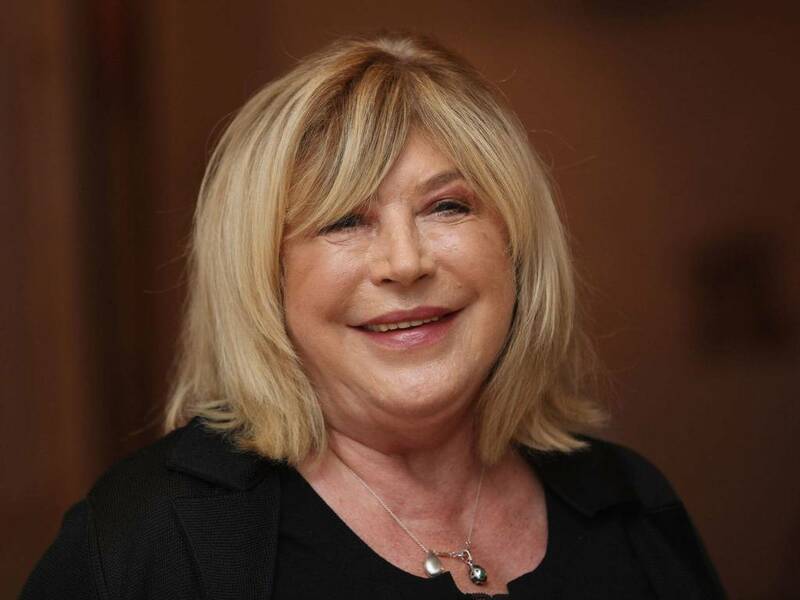 Pallenberg and Richards had three children together, but the two called their relationship quits when it became clear that substance abuse was taking over. Pallenberg spoke about her affair with Jagger in his 2012 biography, Life. Pallenberg was contacted by a few publishers who hoped to write a memoir about her life, but the former actress decided against it once it became clear that all they wanted was to talk about was her infamous time with Mick Jagger. 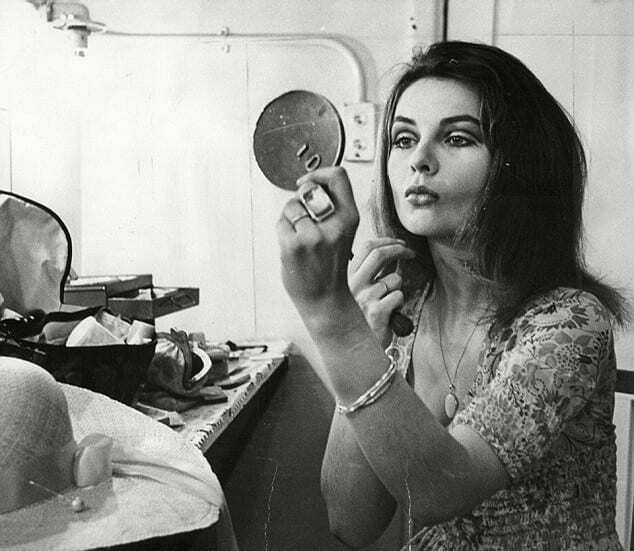 Sadly, the Italian artist, actress, and model died on 13 June, 2017, at the age of 75. Her death was a result of complications with Hepatitis C. Before her passing, Pallenberg lived in Chelsea, London, and migrated every winter to sunny Jamaica. She is survived by two children and two grandchildren. High-profile model Georgia May is probably the most prominent of Mick Jagger’s eight children. Not only does May surround herself with celebrity friends, but she also grew up in the limelight and thrives in it more so than her siblings. As the spitting image of Jerry Hall, her mom, it really is no surprise that Georgia prospers in the modeling industry. May has modeled for high-end brands such as Miu Miu, Chanel, H&M, and Versace. In 2009, she signed a contract with Rimmel. Georgia May was granted the opportunity to represent British fashion in 2012’s Summer Olympics. May appeared alongside international supermodels such as Kate Moss, Naomi Campbell, and Lily Donaldson. Additionally, May designed collections for brands like Volcom and Mulberry, proving there was to her than just a pretty face. However, no one saw it coming when Georgia criticized the modeling industry for hiring personnel based on their online popularity. She caused quite a stir when she claimed it “doesn’t really make sense,” despite having 825,000 Instagram followers herself. Singer-songwriter Carla Bruni was deeply invested in a relationship with Eric Clapton when Jagger entered her life, but there was no denying the kind of impact he had. When they had just met, Jagger was married to Jerry Hall, but this did not stop the rocker from wooing the French femme. Wife Hall noticed what was going on and put a stop to the flirting – but things flared up again despite Hall’s warnings. Bruni later asserted that during the ’90s, “there were maybe ten other women” in Jagger’s life. After Jagger and Bruni didn’t work out, Bruni met former President Nicolas Sarkozy in 2007 at a dinner party. The two hit it off from the start, and Bruni moved into the Elysee Palace the next year when the two tied the knot. In 2011, Bruni gave birth to their daughter, Giulia. However, entering the world of politics did not translate into a boring life for Bruni, who was named the 35th most powerful woman in the world in Forbes‘ 2010 article. 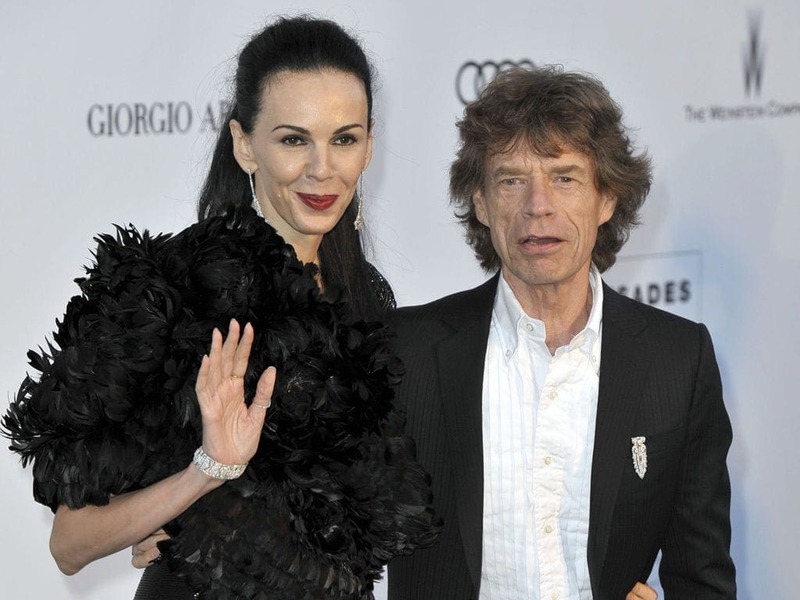 Model Laura Bambrough, best known as L’Wren Scott, was yet another long-term lover of Mick Jagger. L’Wren, who was also a stylist and fashion designer, met Jagger in 2001, but unlike his other flings, nothing happened between the two until 2014. Scott helped the Stones in designing their costumes for their tour, and countless celebrities wore her pieces on the red carpet as well. L’Wren also had her own fragrance made, which was sold at $195 a pop exclusively at Barney’s. Jagger and Scott’s relationship ended abruptly when L’Wren took her own life in 2014. Scott was found by her assistant in her Manhattan apartment and was confirmed dead on March 17th, 2014. Scott was 49-years-old at the time. Mick received the news in a horrid way – he was actually touring in Australia with the Rolling Stones when he heard of her passing. After her death, fans went wild for Scott’s fashion collaboration with Banana Republic and Barney’s New York. Scott left her $9 million estate to Mick Jagger. Jagger was still with singer Faithfull in 1969, but that did not stop him from dating American model Marsha Hunt. Suddenly, Marsha announced that she was carrying the rock star’s child, and so there was no point in denying the relationship anymore. On 4 November 1970, Marsha gave birth to Jagger’s first child, daughter Karis Hunt Jagger. Not only did the child not bring Jagger and Hunt together, but the two spent a lot of the ’70s in a legal battle over Karis – Hunt wanted financial support, and Jagger refused. Finally, Marsha won. Jagger and Melanie met during the time he was still in a relationship with L’Wren Scott, not long before her untimely death. Back then, Hamrick was a dancer who performed for the American Ballet Theatre and had just ended her engagement to her previous boyfriend. 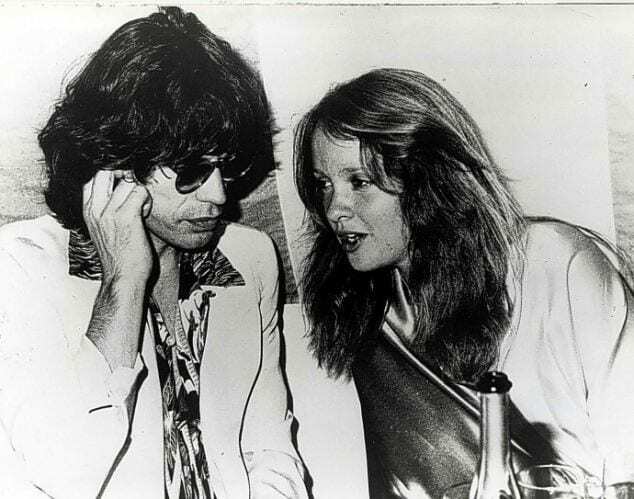 Melanie confided in Jagger and saw him as a friend, but less than a year after Scott’s death, the two were spotted together in an intimate way. Jagger and Melanie announced they were pregnant in July 2016. Jagger is 40 years Melanie’s senior. Hamrick gave birth to son Deveraux Octavian Basil Jagger in December of 2016. The boy was Hamrick’s first child, but Mick’s eighth. The duo is still said to be in a relationship, but scandal refuses to let go of Jagger, who is rumored to repeat his adulterous ways. 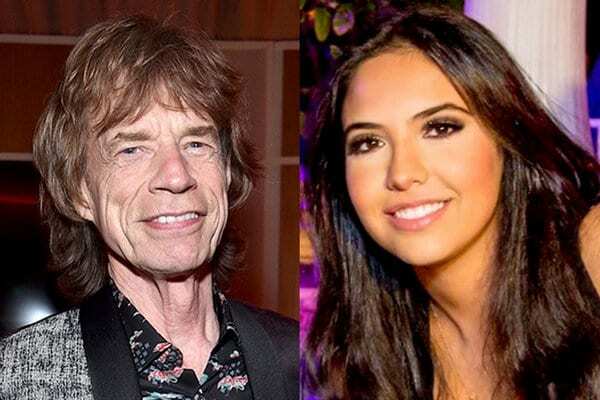 Jagger was being linked to a woman 50 years his junior – Noor Alfallah – and apparently has been seeing Alfallah ever since his 29-year-old girlfriend revealed she was pregnant with their son. 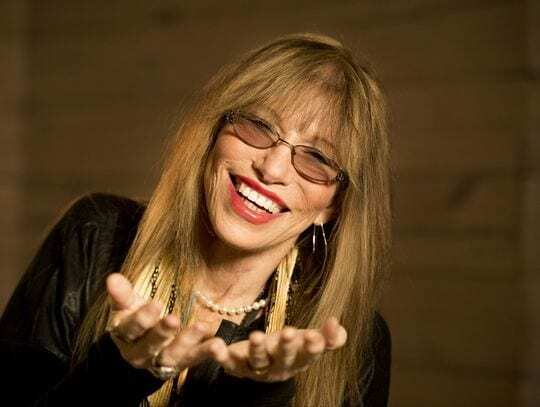 In her memoir titled Boys in the Trees, Carly Simon admitted she and Mick had feelings of “raw electricity” for one another, a feeling she could not overcome despite being engaged to James Taylor at the time. Simon also cited that if she had winded up with Jagger, it would’ve resulted in “a Romeo and Juliet tragedy. We couldn’t have each other.” The night before Simon’s wedding to James, Jagger’s wife Bianca called the groom and warned him his fiance was having an affair. A year before Jagger and L’Wren Scott were a thing, Jagger was dating English model Sophie Dahl from 2000 to 2001. Talent runs in Sophie’s family apparently, as her father is actor Julian Holloway and her mother is writer Tessa Dahl. Sophie’s mother’s parents were children’s author Roald Dahl and actress Patricia Neal. In fact, Sophie was the inspiration for her grandfather’s main character in the book The BFG. 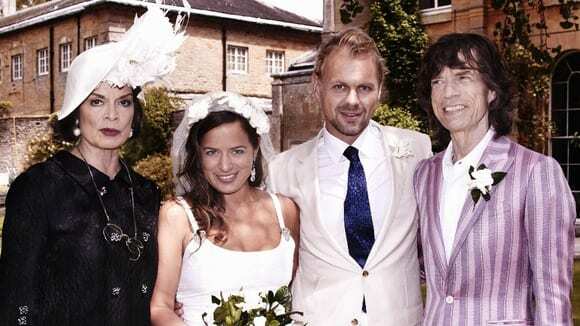 Mick and Sophie met through Jagger’s daughter, who had no idea the two would hit it off romantically. Writing was in Sophie’s genes, and there was no point in denying the girl had pure talent. She followed in family’s footsteps and became a writer, titling her first book The Man with the Dancing Eyes, which came out in 2003. Prior to the book, Sophie wrote for many notable newspapers and magazines, among which were Vogue, The Guardian, The Telegraph, The Observer and The Saturday Times. Then, in 2012, Sophie won a Jasmine award for one of her columns. 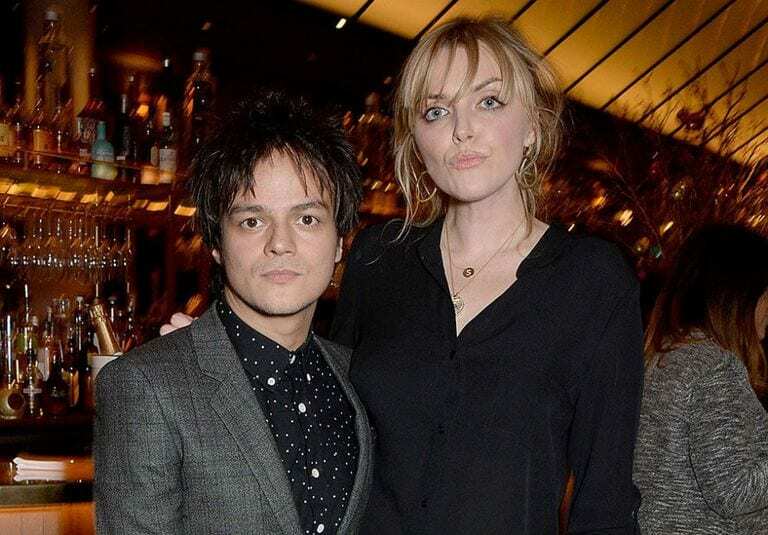 Sophie is married to singer Jamie Cullum, and they have two daughters. 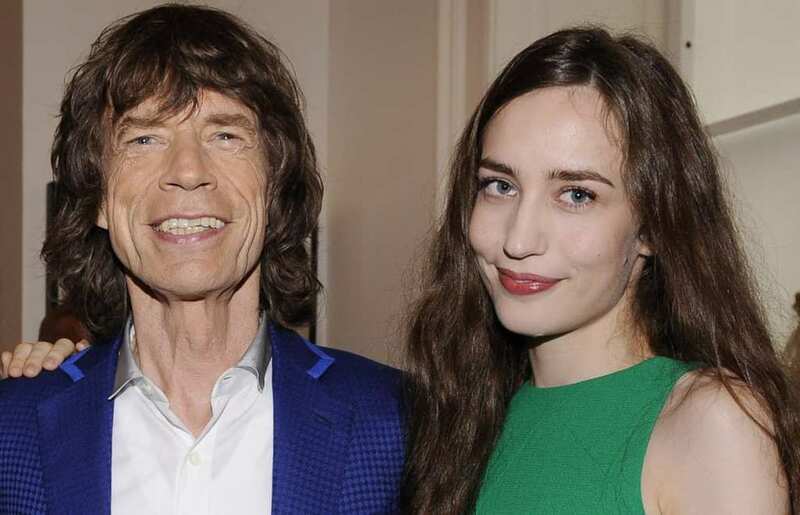 It is no secret singer Mick Jagger has got a soft spot for models, which is why no one was surprised to hear he was interested in Russian model Masha Rudenko back in 2016. At the time, Masha was 27 and Mick was 73. 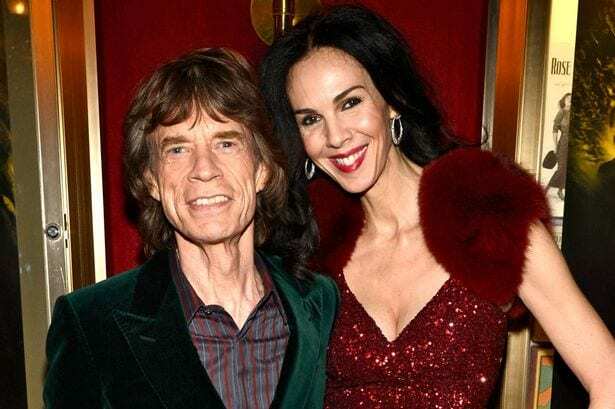 Jagger was also on his way to become a father for the eighth time, and in a relationship with Melanie Hamrick, the ballet dancer who was pregnant with their son. When she heard Rudenko was visiting Jagger at the music festival Coachella, she was absolutely furious. When Jagger was still a student at the London School of Economics, he began dating model Chrissie Shrimpton. The years was 1963, and Jagger seemed more in love than ever. However, during their three years together, Chrissie sunk into a deep depression and became completely estranged from her family. 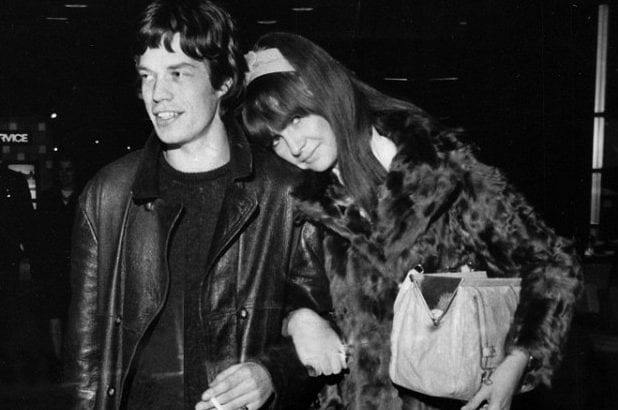 She later attempted suicide, and in 1966 Mick broke up with her. Later, it was revealed that Jagger was having an affair with Marianne Faithful while he was still technically in a relationship with Chrissie. Chrissie had a hard time realizing her relationship with Jagger was over, which is why she attempted to take her own life. Thankfully, she failed during this attempt and was rushed to the hospital for proper care. 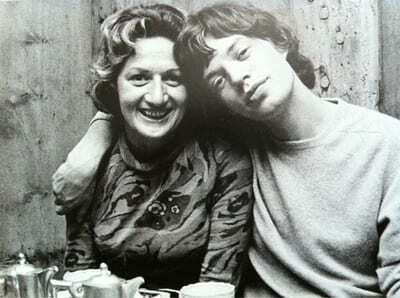 After she was released home, she discovered the truth about Jagger’s affair and was not keen on letting him in the house when he popped over unannounced, but enabled it anyway. After a few years, Jagger completely exited Chrissie’s life and she was able to move on. She got married and had two children. In 1988, Jade started seeing her classmate, Piers Jackson. The two didn’t marry but did end up bringing two kids into the world together – Assisi Lola and Amba Isis. Then, in 2012, Jade went ahead and tied the knot with graphic designer Adrian Fillary. They had a son, Roy, who was born in 2014 – just one month after daughter Assisi gave birth to her first child. This means Jade became a mother for the third time and grandmother for the first time in a matter of a month. Mick was a first-time great-grandfather. Jagger and Marianne Faithfull dated from 1966 to 1970. Their relationship was a rocky one, and it seemed as though wherever they went – scandal followed. 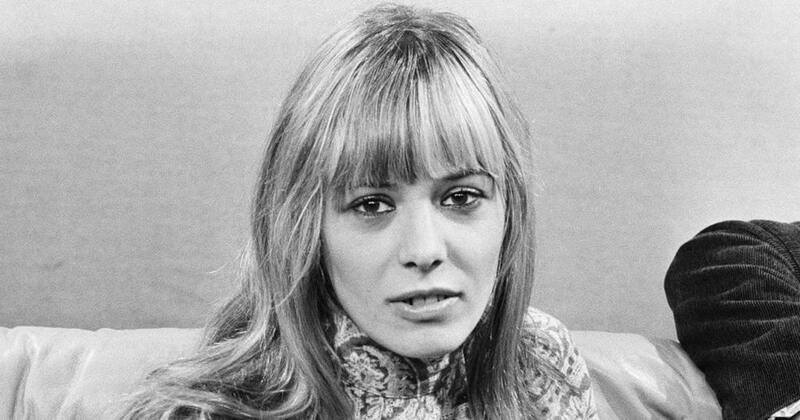 Faithfull’s hit “As Tears Go By” was written by none other than Mick Jagger and Keith Richards, and it Faithfull gained plenty of recognition. Eventually, their relationship came to an end when Marianne owned up to having a problem with addiction and Jagger was exposed for having an affair with Anita Pallenberg. 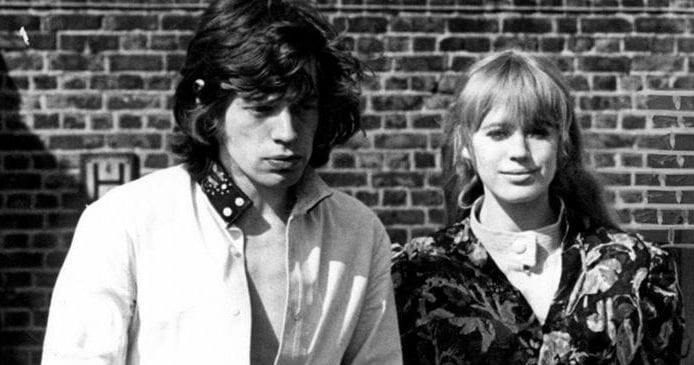 As revenge, Faithfull slept with Jagger’s bandmate and close friend, Keith Richards. Singer-songwriter Faithful was most successful during the ’60s, but she declined in popularity during her time with Jagger, as she was notorious for using illegal substances and having a heavy addiction. In 1979, Faithful had a comeback when she released her new album, “Broken English.” The album landed her a Grammy nomination and since then Faithfull produced more albums and released three books about her life. Her latest appearance was on the TV show Who Do You Think You Are? in 2013. 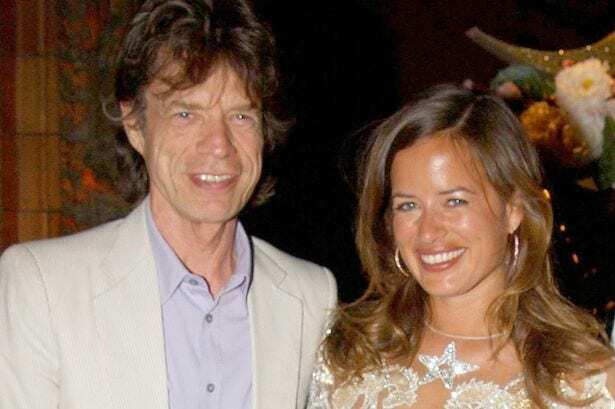 Mick Jagger was not keen on paying child support when Marsha claimed to give birth to his first child. 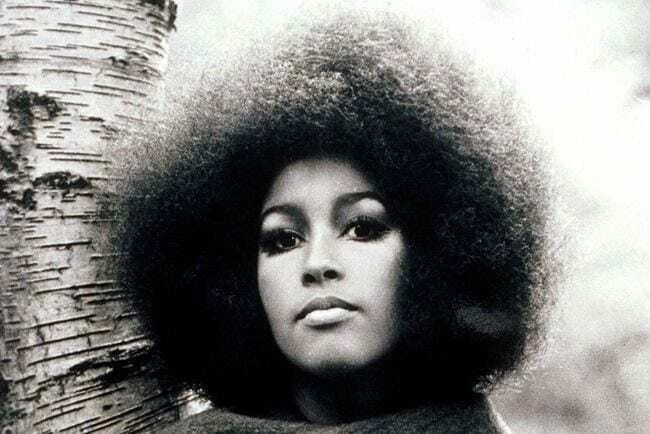 The rocker denied he was Karis’s father and so when the truth came out, Marsha Hunt was ecstatic to have heard won the legal battle that dragged on for years. 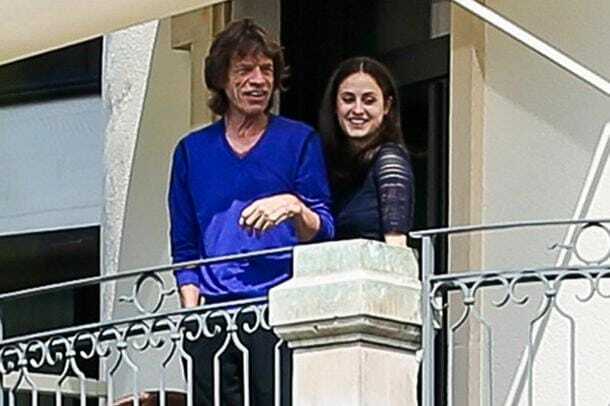 Jagger had to recognize Karis as his firstborn child, and Karis is the first of Jagger’s eight children. Karis has a Yale degree in modern history, she attempted acting and producing but ended up working as a volunteer teacher and philanthropist. Karis married her longtime boyfriend, Jonathan Watson, in 2000. Mick attended the ceremony and walked his daughter down the aisle. These days, Karis and Jonathan have two children together and turned Jagger into a grandfather for the first time. When Jagger’s partner L’Wren Scott died, Karis was there for her father in 2014. The two have a close-knit relationship to this day, which is a significant improvement to when Karis was younger. Unlike her half-siblings, Karis chose to lead a private lifestyle, away from the fame and cameras. 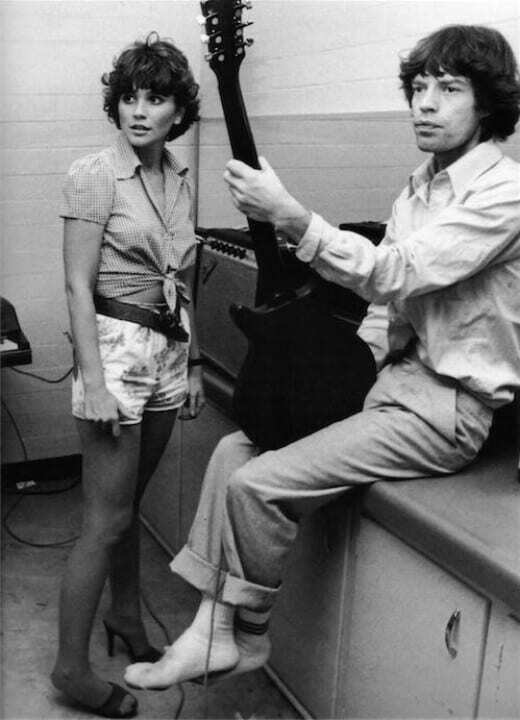 Mick was rumored to have dated American singer Linda Ronstadt for a year from 1977 to 1978. Ronstadt was even quoted saying that she was persuaded to record the song “Tumbling Dice” after Jagger came backstage during a concert and said, “You do too many ballads, you should do more rock and roll songs.” After that comment, Linda had an on-stage guest appearance with the Rolling Stones at the Tucson Community Center on July 21, 1978. Tucson was Linda’s hometown, as well as where she and Jagger sang “Tumbling Dice” together. In Janice Dickinson’s autobiography, No Lifeguard On Duty, the world’s first supermodel gave a detailed description of her initial encounter with Jagger. Mick was dating Jerry Hall at the time, but that didn’t stop Mick and Janice from getting together several times. “The moment we walked through the door, he took my head between his hands, put his big lips on my big lips, and gave me a loud smack,” wrote Janice, explaining how shortly after this, Jagger sent roses to her hotel room and said to be ready by 7 pm. Mick Jagger was not the last man to win over Janice’s heart, as she is now married to psychiatrist Rocky Gerber. Janice married and divorced three times before this latest walk down the aisle and has two children. Professionally, Janice acknowledged the fact her modeling days peaked in the ’70s and ’80s and went on to appear on America’s Next Top Model as a judge. Later, Janice started her own modeling agency in 2005, which was documented in her reality TV show, The Janice Dickinson Modeling Agency. No man could resist heiress Sabrina Guinness back in the day, not even Mick Jagger himself. The beauty was seemingly followed by scandal wherever she went, which did not go well with her relationship with England’s very own Prince Charles. Her turbulent love life, which was said to have included big Hollywood names such as Rod Stewart, Jack Nicholson, and Jonathan Aitken, led to the demise of her royal relationship and any chance of being Queen of England. At least she has led an exciting love life. 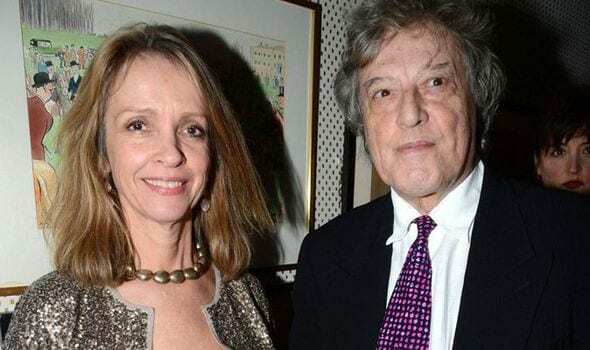 She was called the “It Girl of her generation” for her romantic liaisons that were extremely high-profile, but even the seemingly untamable Sabrina finally settled down in 2014, when she said “I do” to playwright and screenwriter Sir Tom Stoppard. Now also known as Lady Stoppard, Sabrina is not only the heiress to the Guinness family, but she also formed a charity that trains disadvantaged youth to work in TV productions, which is made possible through her 1995 established Youth Cable Television. Mick’s life was anything but scarce of women, but there was one particular female who left a mark on him like no other – his mother, Eva Ensley Mary Scutts. Eva was born in New South Wales, Australia, yet comes from English descent. 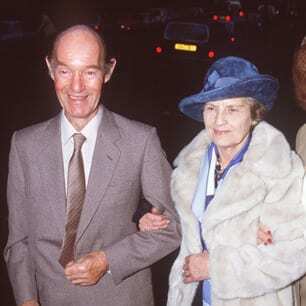 Eva married Jagger’s dad, Basil Fanshawe “Joe” Jagger after she moved to England, and the pair had two sons – Mick and Chris (both of which became musicians). Eva was a hairdresser, and her husband was a teacher. Shortly after Eva celebrated her 87th birthday, she passed away on 18 May, 2000. 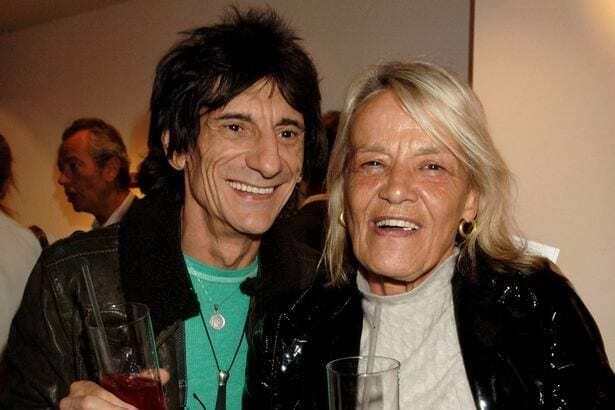 Eva led a quiet and personal life, ever her relationship with her son Mick was on the backburner ever since he made a name for himself as a member of the Rolling Stones. Some argued that despite claiming to be proud of her son and his accomplishments, she had a hard time coming to term with the fact he had several kids from different women, and the rock and roll lifestyle was too much for her to bear. 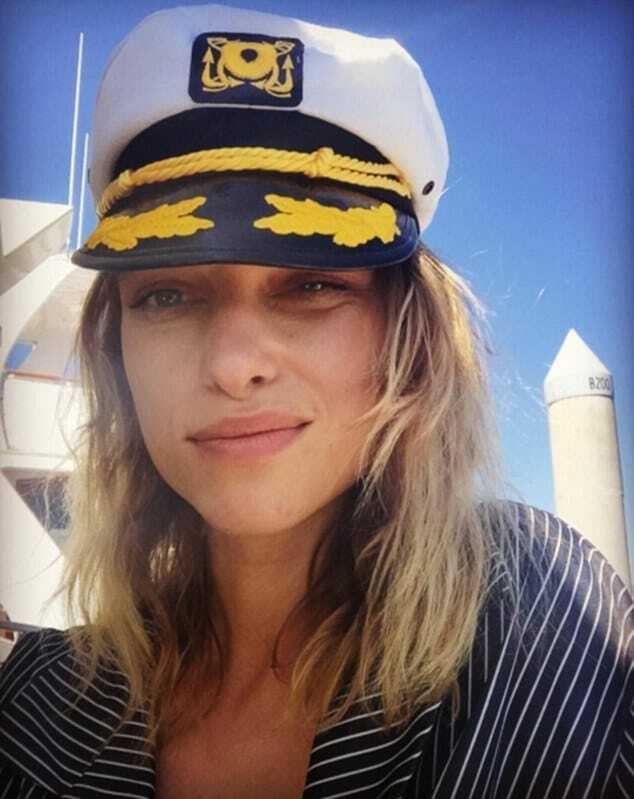 New York baby Elizabeth is one of the four children former lover Jerry Hall shares with Jagger. Lizzy’s first ever appearance on the runway was back in 1998 when the young Jagger modeled for Thierry Mugler. The beauty seemed very comfortable alongside her mother, who modeled for the same show. Lizzy was chosen to represent Mango in 2005, and by 2013, she was announced to be the new face of New Skiny Lingerie Campaign. Elizabeth continues to model to this very day and has worked with Tommy Hilfiger and Lancome. Lizzy is still modeling till this day and has worked with some big names in the industry like supermodel Twiggy. After appearing in TV commercials for Marks & Spencers and becoming the model for Hotel ROW NYC, it’s safe to say Lizzy is on the rise. 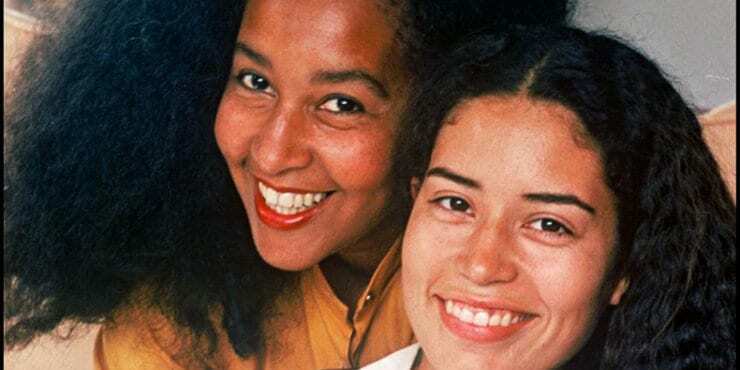 Some say her mother, Hall, is worried about the fact her daughter is already in her 30s and has yet to find a partner, which is why she is continuously trying to set her up. If we were Hall, we wouldn’t worry too much. Mick wanted to spice things up, which is why he started dating Jerry Hall two years before his divorce to Bianca was final. 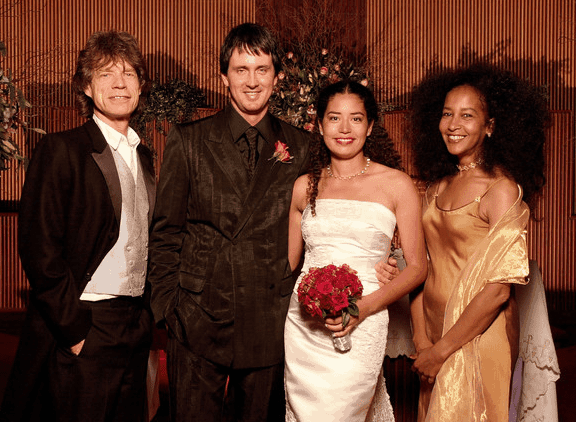 Jagger’s relationship with Hall ended up being the Stone’s longest relationship, and the pair made things official in a Hindu ceremony in 1990, 13 years after they were linked romantically. The pair stayed together right up until 1999 and had four children together – Elizabeth, James, Georgia, and Gabriel. But fans were heartbroken when the reason behind Hall and Jagger’s separation was revealed as infidelity on Jagger’s behalf. Hall was not the type of woman to sulk after her separation from her former husband. Before Jagger stormed into her life, Hall was a very accomplished model and appeared on more than 40 magazine covers. After the two parted ways, Hall pursued a career in film and television. 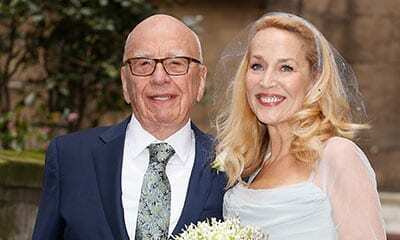 Later, she met the man who would become her next husband – media mogul Rupert Murdoch. The pair said “I do” in 2016, and are still together to this very day. Hall is reportedly happier than ever. Noor Alfallah was the latest woman that has been said to have allegedly been romantically linked to Jagger. The two were first spotted at Jagger’s birthday party back in August 2015 at New York’s Bowery Hotel. 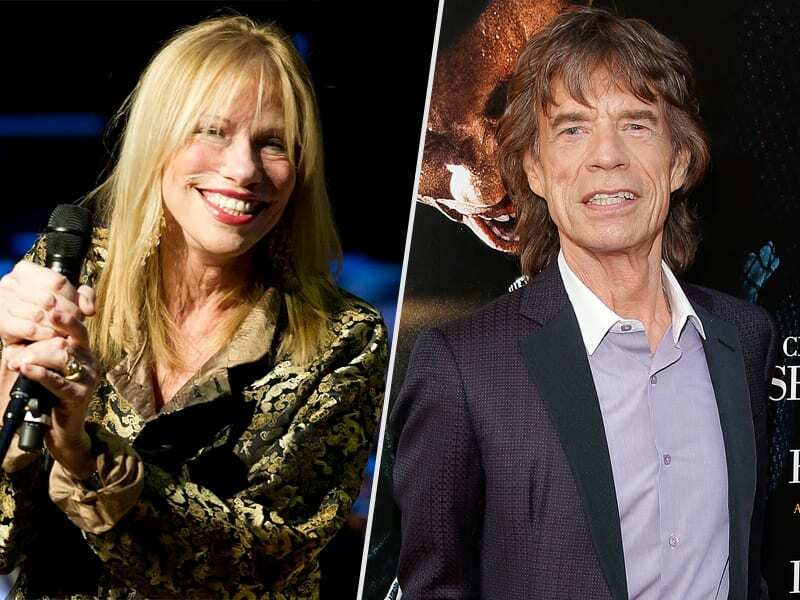 Nonetheless, Jagger was and is to this day in a relationship with current girlfriend, Melanie Hamrick, who he has been with for the past three years. Since rumors of their affair started circling, Jagger made sure the press got plenty photos of him and Hamrick. Once Melanie Hamrick announced she was carrying Jagger’s eighth child, it seemed as though Noor had completely disappeared. Alfallah’s going off radar probably had more to do with the fact Mick wanted to save Melanie from any embarrassment of his assumed affair, but still, Noor respected the Rolling Stone’s wishes and kept her distance. Some believe Noor had a hard time of letting go since she posted pictures of herself at a Rolling Stones concert. Jagger is 51 years Noor’s senior.